Term Euro Disco refers to a collection of styles of electronic dance music in Europe in 1980s, such as Hi-NRG and Italo Disco. It originated in 1981 from Electropop and Disco. One of the early representors of the style was a British group Imagination with their series of hits in 1981-1982. In 1982 Euro disco began to develop in Italy by groups like Gazebo, Kano and Lectric Workers. In 1983 Italian disco artists became popular in Europe with disco songs entering top charts in every major European country. In 1984 musicians from other countries also began to produce Euro disco songs. In Germany it was Modern Talking, Sandra and Fancy. Note: According to the article above, European disco and Euro Disco are two different musical genres: the first being European artists and producers who emulated American disco in the mid and late 1970s, the latter being a more electronically 1980s genre. As such, Space Woman (1977), by Herman's Rocket is European disco, whereas Just an Illusion (1982) by Imagination is Euro Disco. But it wasn't just American music laying the groundwork for house. European music, spanning English electronic pop like Gary Numan and Soft Cell, sparse German proto-techno by Kraftwerk, the more disco based sounds of Giorgio Moroder and Klein & MBO and Belgium's Telex were immensely popular in urban areas like New York and Chicago. The most known Eurodisco-sound is the sound of the German Eurodisco: Giorgio Moroder, Pete Bellotte, Munich Machine, Keith Forsey, Harold Faltermeyer, Mats Bjorklund, Frank Farian, Amii Stewart. They made name with Donna Summer, Roberta Kelly, Sparks, The Three Degrees, Blondie and others. The sound of Giorgio Moroder is easily recognised by the special synthesiser sound. 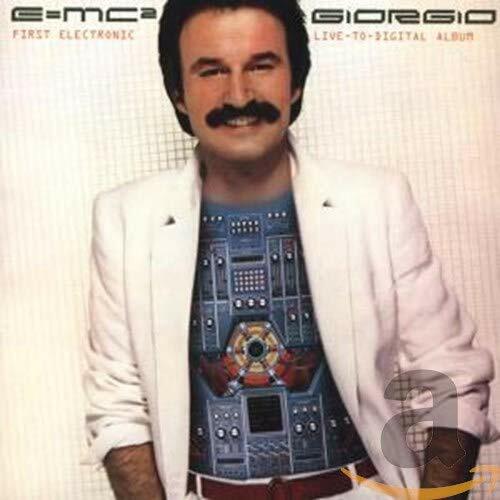 One of the first singles Giorgio made was 'Son of my father'. In the disco-era Giorgio had his own record label: Oasis, which was distributed in the U.S. by the famous Casablanca label. Pete Bellotte, born August 1946, was home producer of the European Ariola label in Germany and came in contact with Giorgio Moroder for the 'Son of my father' single, and made them from that moment on a team. Pete had a studio in his house near Munich where he made the music for Trax, together with Keith Forsey, a drummer born January 1948 in London. He played on albums from Silver Convention, Boney M, Roberta Kelly, Donna Summer and others. Another beautiful Eurodisco-sound is the French sound: Jacques Morali, Henri Belolo, Alec R. Costandinos, Don Ray, Love & Kisses, Voyage, La Belle Epoque, Sheila B Devotion, Cerrone. Jacques Morali and Henri Belolo are well known as producers and writers of songs from The Village People, The Ritchie Family and Patrick Juvet. Alec R. Costandinos made music which was also called art-disco. Music which was recorded on an album and the numbers on the album were album-side long. One album had only one or two numbers on it. He worked together with Don Ray. On the albums there are two singers from London heard: Madeline Bell, (also worked on albums from Giorgio Moroder) and Vicki Brown. Don Ray also worked with Cerrone, the man from the hit Supernature. The Italian sound has names such as Jacques Fred Petrus, Celso Valli, Claudio Simonetti, Giancarlo Meo, Mauro Malavasi,Quelli Del Castello. Jacques Fred Petrus and Mauro Malavasi made records with Revanche, Macho and The Peter Jacques band. Songs as I'm a man, Walking on music, You get high in N.Y. City and several more got high on international disco-charts. Celso Valli who wrote and Quelli Del Castello who produced did the music for Tantra, Azoto, The Passengers. So the Faze Action mix of "Magia Do Prazer" by Banda Black Rio or even the Kylie tracks don't do it for your friends anymore? Spinning "Car Wash" is out of the question and you cannot bring on the "Saturday Night Fever" album ever again after the fashionista types started to roll their eyes. They know there's more to disco than that because they have danced to it. Maybe if you expand your perimeters a little you can still stand tall behind the decks. Difficult? Not necessarily. Need to part with a lot of cash buying rare records? Well, up to you but you know we are talking about your reputation here.